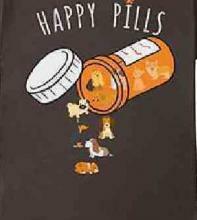 You know that your pet can really be a pill sometimes, but that little pill can also really make you happy. It can be one of the best prescriptions against depression. I just love it when dad would stop to discuss foreign policy with me. After all my ancestors were Portuguese immigrants. Woof! Yum! 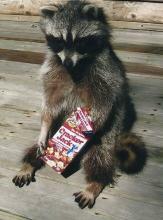 **nom, nom, nom** This stuff is crackerjack! Oh, wait! That's were the name comes from. When you asked me over for a wine and cheese party I thought you meant a whine and jeez party. This is much better. Good dental hygiene in animals is every bit as important as it is in people. National Pet Dental Health Month is a reminder to all of us of that importance. Social Media Pooch ’Tinkerbelle’ Taking Home A Lot Of Bones! Move over Grumpy Cat, there’s a new favorite pet ripping up the digital landscape these days. Out with the old, in with the new! No one at the office is going to mistake your coffee or tea for theirs if your mug looks like a coiled rattler ready to strike.